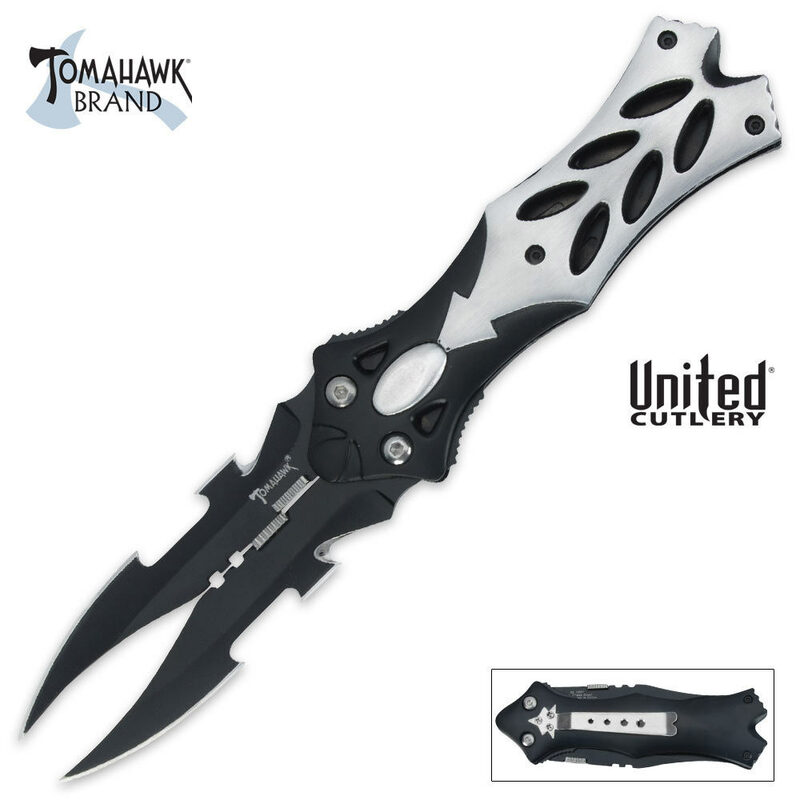 Tomahawk Split Butterfly Folding Knife | BUDK.com - Knives & Swords At The Lowest Prices! You've never seen a butterfly as fierce as this beast of a knife! With split, dual blades that are razor sharp, you can do some damage with this thing. This knife is by far the cheapest made item I have ever bought from Bud K. The blades are dull, the black paint isn't evenly painted against the silver edge.On top of that the blades don't lock and I don't even have to push the lever to release them. I will be sending it back tomorrow. The blades look like they would break as soon as you made contact. This Knife has a very shart edge and the point is basically unmatched. I got it and I love it. Considdering this is a double edge blade and a double fold away it gives you the option of having only one blade open, the other, or both. To those of us who are seeking knifes with multiple function it is a great option. It is a great product for the value as well. Thanks for reading this review. very nice folding knife has come in very handy. the look is sweet as well. I ordered this knife because it is displayed as a butterfly knife. It is in fact a lock blade folding knife. I am impressed with its sharpness and design. I think its a good folding knife. Its worth the price. Nice knife to have and like the double edge when opened both side of the blades. 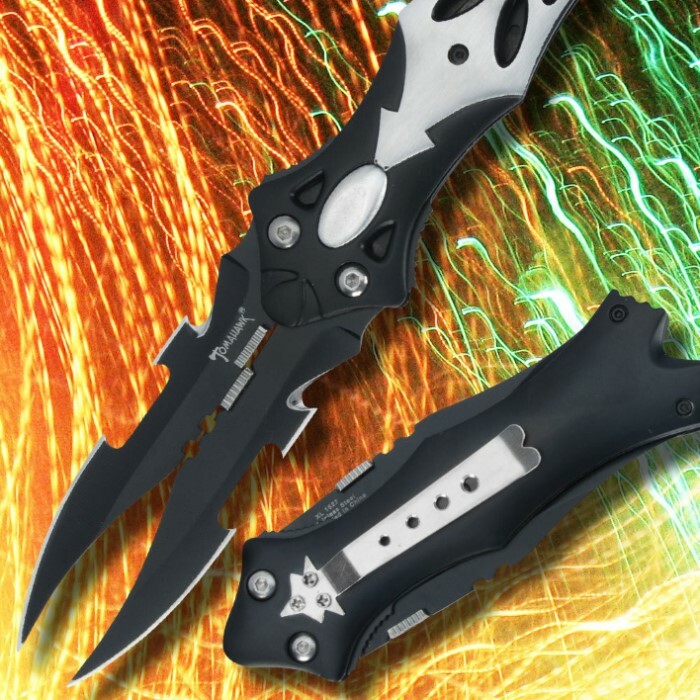 Though...it refer to the term "butterfly knife" it isn't exactly like it. Its more like a folding knife with a blade on both sides and both blade when folded isn't covered like a "butterfly knife" does. That is the only issue. Advantaged...can open one blade at a time or both at the same time.